Stonehenge and Avebury Small Group Guided Tour. 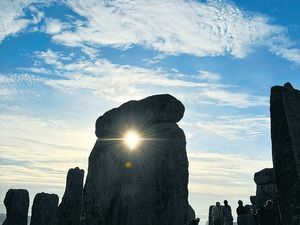 A new tour operating from London gives the unique opportunity to explore the awe inspiring world famous Stonehenge and Avebury Prehistoric Landscapes with an expert service, guided by a qualified archaeologist. West Kennet Long Barrow – One of the largest Neolithic burial tombs in Britain. The West Kennet Long Barrow was constructed about 3700 BC, and was in continual use for well over 1000 years. Silbury Hill – The largest man-made mound in ancient Europe, Silbury Hill was constructed c2800 BC. Even after centuries of research, archaeologists have still not discovered the original purpose of the Hill – ideas include it use as a territorial marker, burial mound and as a cenotaph. Avebury Henge, Stone Circle and West Kennet Avenue – The largest stone circle in Europe, Avebury formed the centre of one of the most impressive Neolithic ceremonial landscapes in Britain. The great circles, 200 standing stones arranged in an outer and 2 inner circles, surrounded by a massive bank and ditch, were the focal point of the area. 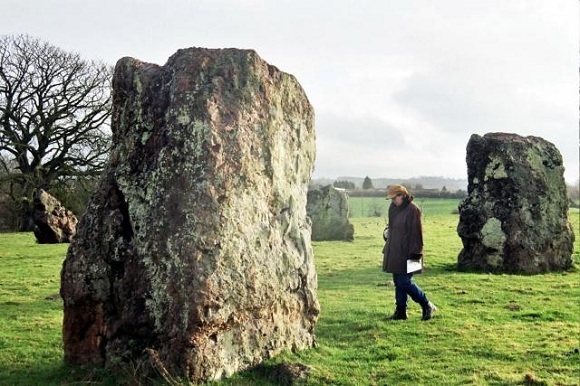 They were connected by the West Kennet Avenue of standing stones to other locales in the region, including the Sanctuary on Overton Hill – the site of a postulated temple. Hundreds of great sarsen stones from the downland around, often weighing over 20 tonnes, were used in the construction of the site, some 2500-2200 BC. Woodhenge – Neolithic monument, dating from about 2300 BC, six concentric rings, once possibly supported a ring-shaped building. Stonehenge Cursus – (sometimes known as the Greater Cursus) is a large Neolithic cursus monument next to Stonehenge. It is roughly 3km long and between 100 and 150m wide. Excavations by the Stonehenge Riverside Project in 2007 dated the construction of the earthwork to between 3630 and 3375 BC. 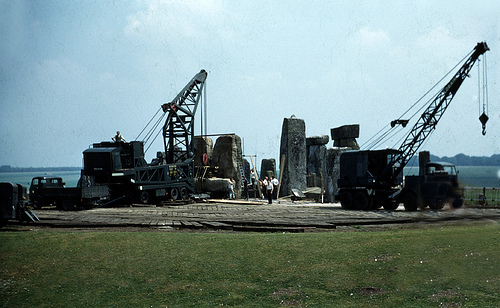 This makes the monument several hundred years older than the earliest phase of Stonehenge in 3000 BC. Bronze Age round barrows – The Stonehenge UNESCO world heritage site is said to contain the most concentrated collection of prehistoric sites and monuments in the world. One monument type missed by the casual observer is that of the Bronze Age round barrow (burial mounds). As we walk through this landscape, you will come into contact with these intriguing ancient burial sites and through the expertise of our tour leaders, you will come face to face with the customs and people of Bronze Age society buried in close proximity to the unique stone circle of Stonehenge.Stonehenge Avenue – Walk along the Stonehenge Avenue and approach this unique stone circle as was the intended route experienced by the Stonehenge’s contempories. Admission to Stonehenge – The great and ancient stone circle of Stonehenge is an exceptional survival from a prehistoric culture now lost to us. 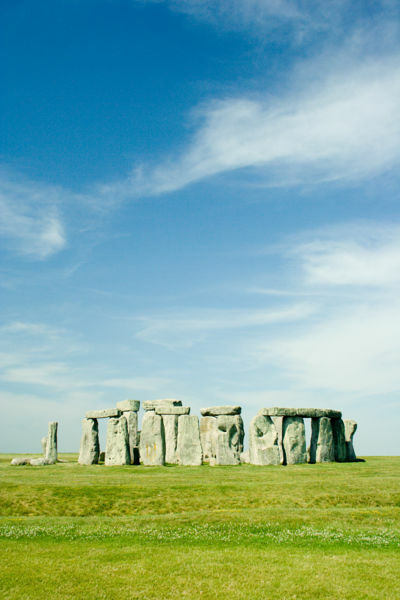 The monument evolved between 3000 BC – 1600 BC and is aligned with the rising and setting of the sun at the solstices. These are Archaeology Tours, and as a result we believe we offer an excellent up-to-date specialist service; giving you the opportunity to learn in great detail about these amazing prehistoric sites, but also leaving you time to explore your surroundings by yourself. An egg-shaped ring of standing stones in Australia could prove to be older than Britain’s Stonehenge – and it may show that ancient Aboriginal cultures had a deep understanding of the movements of the stars. It is thought the site was built by the Wadda Wurrung people – the traditional inhabitants of the area. All understanding of the rocks’ significance was lost, however, when traditional language and practices were banned at the beginning of the 20th Century. They have discovered that waist-high boulders at the tip of the egg-shaped point along the ring to the position on the horizon where the sun sets at the summer and winter solstice – the longest and shortest day of the year. The axis from top to bottom points towards the equinox – when the length of day equals night. The probability that the layout of Wurdi Youang is a coincidence is minuscule, argues Ray Norris, a British astrophysicist at Australia’s national science agency, who is leading the investigation. It’s truly special because a lot of people don’t take account of Aboriginal science,” says Reg Abrahams, an Aboriginal adviser working with Prof Norris. “This is the first time we have been able to show that, as well as being interested in the position of the sun, they were making astronomical measurements,” says Prof Norris, who is also a faculty member at the School of Indigenous Studies at Macquarie University in Sydney. “This discovery has huge significance for understanding the amazing ability of this culture that is maligned,” says Janet Mooney, head of Indigenous Australian Studies at Sydney University. “It is interesting to know how far back people were doing astronomy, if it is 5,000 years old it would predate Stonehenge,” he says. 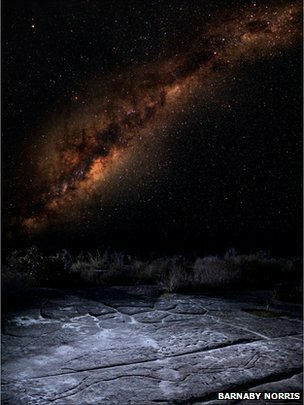 Reach for the Stars – Aboriginal Astronomy was produced by Robert Cockburn and broadcast by Discovery for BBC World Service. Listen to the radio documentary via iplayer or download the podcast. theories about its purpose, experts agree that the site chosen for such a monumental construction project must have held a very special significance for our ancestors. 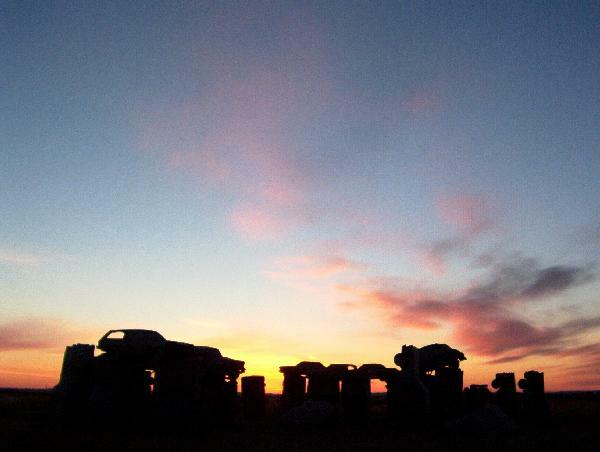 Now evidence is emerging that the Stonehenge area could have been an important centre for prehistoric people several thousand years before the giant stone circle was actually built. The revelation emerged from a small-scale excavation undertaken by Open University archaeology students, which has uncovered a huge cache of artefacts belonging to hunter-gatherers from the middle of the Stone Age, including the remains of a gargantuan Mesolithic-era feast, which took place close to Stonehenge. The site has also yielded what are believed to be the oldest carved figurines yet found in the UK, indicating a continuity of human presence in what seems to have been a sacred spot for thousands of years. The shoestring project has been led by David Jacques, a tutor at the Open University, since 2005. After getting permission from the landowners, Sir Edward and Lady Antrobus, to survey a site just north-east of a previously unexcavated Iron Age hill fort known as Vespasian’s Camp, he was awarded a research fellowship by the university’s classical studies department with a small three-year grant. Jacques chose to dig in a number of areas along the bed of a spring and recruited students from his Open University course on culture, identity and power in the Roman Empire, to do the excavation work. With the tools were animal remains, including what Jacques and his team thought was a cow’s tooth, which they sent away for radiocarbon dating. The result was an astonishingly early date of around 6250BC, firmly in the Mesolithic period and more than 3,000 years before construction on Stonehenge began. Further excavations ensued and, by the end of September 2011, the team had uncovered a rare Mesolithic hoard of more than 5,500 worked flints and tools from just two small trenches 35m away from each other. As well as the tools and tool production debris, large quantities of burnt flint were found, indicating a fire, and more than 200 cooked animal bones, which came not from a cow, but from at least one aurochs – a gigantic creature resembling a buffalo that is now extinct. “An aurochs was something like a large minivan in size, to catch an animal this big would have been a major feat. It would have fed a lot of people. It’s likely there was a large gathering, possibly as many as 100 people, who cooked and feasted on the aurochs,” says Jacques. He and the team are linking the finds to the mysterious Stonehenge “totem poles”, three colossal Mesolithic post holes found during the excavation of the Stonehenge car park some years ago, which indicate the area was important to people in the Mesolithic era. He said what has been lacking until now is evidence of the people who used them. The flint hoard is being analysed by Barry Bishop, an independent lithic specialist, who will publish his findings in a 2012 report co-authored with Jacques. He believes the size and nature of the assemblage of tools suggest that Mesolithic people kept returning to this one site over a long period of time, probably attracted by the spring water. Evidence that the spring was considered sacred in the Bronze Age comes from other objects found by Jacques’ team that the archaeologists believe were deposited there as offerings to a particular god or goddess. They include a ceremonial dagger, dated to 1400BC, and two stone carvings in the shape of ducks, dated to around 700BC. This makes them the oldest figurines yet found in the UK, says Dr David Barrowclough, director of studies in archaeology at Wolfson College Cambridge, who is writing a research paper with Jacques about these objects. “In Europe in the Bronze Age and the start of the Iron Age, there was a cult, associated with the Celtic people, of making models of waterfowl and throwing them into ponds and springs. These are the first ones ever found in Britain, and the oldest figurines ever to come out of the UK,” he explains. Jacques’ team’s findings could be a major boost for the local town, Amesbury, which is currently developing a historic tourist trail as part of a regeneration programme. In the best Open University tradition, Jacques has made a point of engaging the public on the dig and by giving talks to local people, who have traditionally had little involvement with the archaeology taking place on their doorstep.